Last night I watched a production of the civil war on cable station AHC (American Heroes Channel) called “The Civil War”. I was especially interested that the series prominently featured the 20th Massachusetts Volunteer Infantry Regiment, an important subject of my forthcoming book, “The Colonel And The Vicar”. However I was quickly disturbed by inconsistencies in the portrayal of the regiment, particularly at Ball’s Bluff and during the Peninsula Campaign. The story was told by re-enactors who portrayed Lt. Oliver Wendell Holmes, Jr. and Lt. Henry Abbott. These were not the men who led the Twentieth at Ball’s Bluff. Holmes was first lieutenant to Captain Henry Tremlett, Company A; Abbott was first lieutenant to Captain William Bartlett. The Captains (of course) were the ones initially in charge of covering a retreat across the top of the bluff. The Twentieth was joined by the Fifteenth Massachusetts, 42nd New York and 1st California regiments. The battle lasted about 12 hours, from dawn to dusk. Holmes was indeed wounded at the outset of the retreat and carried from the field to a hospital. It’s also true that it was a debacle for the Union and the Confederates won in a rout. There was nowhere to retreat; just a hundred foot drop down Ball’s Bluff where hundreds of men tried to burrow into the dirt. Others were not so lucky. The four meager boats that were used to transport reinforcements were now quickly swamped or shot to pieces. Some men tried to swim. Some drowned. All true. Some were shot in the water (they left that out). Bodies floated down the Potomac as far as the Capital (true). They also left out the part of the Battle of Ball’s Bluff where Captain Tremlett, Captain Bartlett, Lieutenant Abbott, and Lieutenant Whittier led 80 Union survivors up the Potomac shore at nightfall until they found a boat, whereupon they transported all the men back to the safety of the Maryland side of the Potomac. Tremlett and Bartlett went last. Tremlett wrote in a letter home, “About 9½ p.m. we all got across and shall not very soon forget my moonlight paddle across the Potomac.”. (according to Letters of Nathan Hayward, MD, surgeon, 20th Mass., in Reports, Letters & Papers Appertaining to 20th Mass. Vol. Inf by Association of Officers of the 20th Massachusetts Volunteer Infantry, 1868, Boston Public Library Rare Books Collection, 1:347–348). The numbers were pretty close. Union casualties numbered over 1,000, including 223 killed, 226 wounded, and over 550 captured or missing; but they didn’t even mention that the revered (no pun intended) Colonel William Raymond Lee, commander of the Twentieth was among those taken prisoner and spent time in the infamous Libby prison. I know that they usually warn you about “fictionalized” accounts, but if you’re shootin’ for authentic, leave things like the civil war alone unless you hire better researchers. 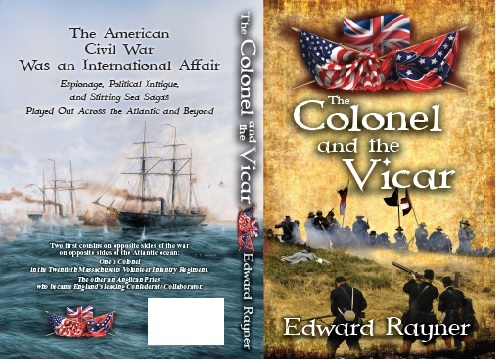 If you’re interested in the true story of Captain Tremlett and the Twentieth Massachusetts at Ball’s Bluff and the Peninsula Campaign, you might be interested in my forthcoming book, “The Colonel and The Vicar” (currently in final edit). I hope to have it published and on the market by Spring. Join the blog and follow me along the wonderful road of self-publishing until the day I tell ya it’s “on Amazon”. Ball’s Bluff was not a large battle, especially compared to what was yet to come in the following four years. Comparative battle strength between South and North was even… about 1700 Union troops clashed with the same number of Confederate soldiers. However the Confederates won in a rout. Union casualties numbered over a thousand, including 223 killed, 226 wounded, and over 550 captured or missing. From Captain Tremlett’s Company A, 6 men were killed, 11 were wounded and 14 were captured. By comparison, Confederate casualties totaled about 155, of which 36 were killed, 117 wounded, and 2 captured or missing. Why such a lop-sided victory? One could say that the Northern troops were mostly green while most of the Southern troops had already experienced battle. The Southerners were fighting on home soil and the North was the invader. One fights harder when defending the homeland. Perhaps an extension of the “home advantage” would also be a better knowledge of the lay of the land. All valid points. However The Battle of Ball’s Bluff had far-reaching repercussions beyond the stinging defeat. In the aftermath, bloated corpses floated down the Potomac River, even reaching Washington for all to see. Washington went ballistic, and General Stone bore the brunt of the blame for the debacle. Stone was a West Point graduate and a career army officer… how could he have allowed troops to engage in battle with no path to retreat? He was vilified, humiliated and even imprisoned for 6 months (though reportedly for political reasons). Poor, inadequate intelligence… plus a logistical blunder that there weren’t enough boats… I’m sure that the Union troops had little or no amphibious battle training back in Boston… perhaps add a modicum of Union overconfidence coupled with underestimating the Confederates, taken all together they spelled the Union defeat. After Ball’s Bluff, the 20th Massachusetts was assigned to Camp Benson back at Poolesville, Maryland. Members of the regiment that survived the battle were assigned once again to picket the Potomac and guard against any Confederate incursion against Washington. They would remain there for the rest of 1861 and through the first few months of 1862. 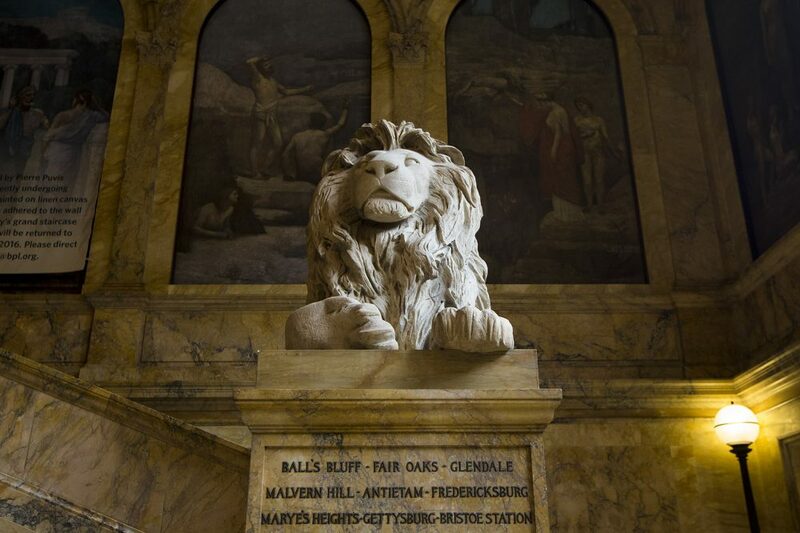 During that time Henry was sent back to Boston to perform recruitment duty with a request for two hundred men in order to replenish the 20th Massachusetts’ depleted ranks. I wonder if anyone slept. At 6:00am on October 21, 1861 General Stone sent about 300 men drawn from the 15th and the 20th Massachusetts regiments across the Potomac River from Harrison’s Island into Virginia under the command of Colonel Charles Devens. Upon arrival, Devens determined that the field was unoccupied and deployed the men from the 15th Massachusetts well forward and to the left of the bluff with pickets out in front. The men from the 20th Massachusetts, including Captain Henry Tremlett, were situated at the center of the top of the bluff to cover any retreat if necessary. Devens concluded that the immediate locale was safe and that the opportunity was there to move towards Leesburg, a short distance away, however that would require a larger force, so he sent for reinforcements. Around 8:00am Devens’ pickets encountered Confederate pickets from the 17th Mississippi commanded by Colonel Nathan Evans stationed along the tree line and a skirmish began. Evans had already demonstrated a reputation for bravery and as a solid battlefield tactician in the Battle of First Manassas. Having encountered Union troops in Virginia and the possibility of a larger battle, Evans also requested reinforcements. Back on the Maryland side of the Potomac, General Stone ordered Colonel Edward Baker, a sitting U.S. Senator, to head the Union reinforcement and ultimately take command of the Union forces at the bluff but at the time Baker and the needed reinforcements were still on Harrison’s Island or the east bank of the Potomac. What was worse, Union reinforcements would have to be made by use of just four skiff-like boats, and it would take four hours to do so. In the meantime, Confederate reinforcements began to arrive by rail or march, and Evans’ men were more quickly reinforced by elements of the 13th and 18th Mississippi and Virginia Cavalry. Shortly after noon, significantly outnumbered, Colonel Devens and the 15th Massachusetts retreated back towards the bluff. 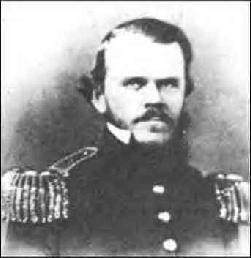 Colonel Baker arrived with Union reinforcements from the 1st California and the 42nd New York as the battle see-sawed back and forth. Command was disorganized and chaotic, particularly for the Union side; most of the Union troops were experiencing their first taste of battle, and their officers were gentleman soldiers as well. Around 5:00pm the advantage began to turn in favor of the Confederates, and Colonel Baker suffered a mortal wound, the only U.S. senator to have been killed in battle. The combined 17th and 18th Mississippi mounted a hellacious charge at the bluff but are repulsed amidst bloody fighting. They reformed and attacked again, and this time the Union troops could not withstand the onslaught, and a general retreat was ordered… but to where? The only thing behind the Union lines was a 100-foot drop to the Potomac. There was no retreat. There were not enough boats and those which were available were quickly swamped or sunk by the men trying to escape the terror. Many who tried to swim the river drowned or were shot. Over 500 men surrendered and were captured on the Potomac’s western flood plain, including Colonel William Raymond Lee, commander of the 20th Massachusetts. Captain Tremlett was among those trapped. In an attempt to escape he gathered three other officers from the 20th Massachusetts, Captain William Bartlett, Lieutenant Abbott, and Lieutenant Charles Whittier, along with about eighty soldiers comprised of men from the 15th and 20th Massachusetts, the 42nd New York, and the 1st California. They carefully made their way upriver, always fearful of ambush at any moment from having so many men in tow, though daylight was fading. Their efforts were rewarded when they discovered a boat which was damaged and hardly seaworthy, but they repaired it. Using this one boat they transported their whole party, five at a time. 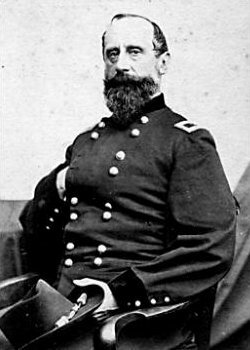 Lieutenant Whittier was sent over in the second load to take charge of the men as they arrived, while the other officers waited for the last trip. All reached Harrison’s Island in safety, the last about 9:00pm. The Battle of Ball’s Bluff was over. Late the previous night Union pickets captured a Confederate soldier who disclosed that Leesburg was only thinly defended. General Stone sensed that this might be an opportunity to cross the Potomac into Virginia, but that it also might be a ruse de guerre, and he needed more than what he learned from his prisoner. On October 20, 1861, Stone ordered Captain Chase Philbrick and twenty men to cross the Potomac in small boats to reconnoiter the field and any enemy positions or movement. Philbrick would return with information that he had only found a deserted Confederate camp. Stone was satisfied that opposition would be light if opposition existed at all, and he therefore started to move his force first to Harrison’s island in the middle of the river, about one hundred yards from the western shore of the Potomac, by crossing the Chesapeake and Ohio Canal by use of four small boats. General Stone planned an incursion into Virginia the next morning.